Towering granite formations, rivers so rich they once started a Gold Rush, and pine forests so thick the hillsides look black from a distance, you won’t want to be without a camera in South Dakota’s Black Hills National Forest. The wildlife is plentiful, too- thousands of free-roaming buffalo, spry pronghorns, shaggy bighorn sheep, and even shy prairie dogs. To experience it all, head to the second largest state park in the country- Custer State Park. 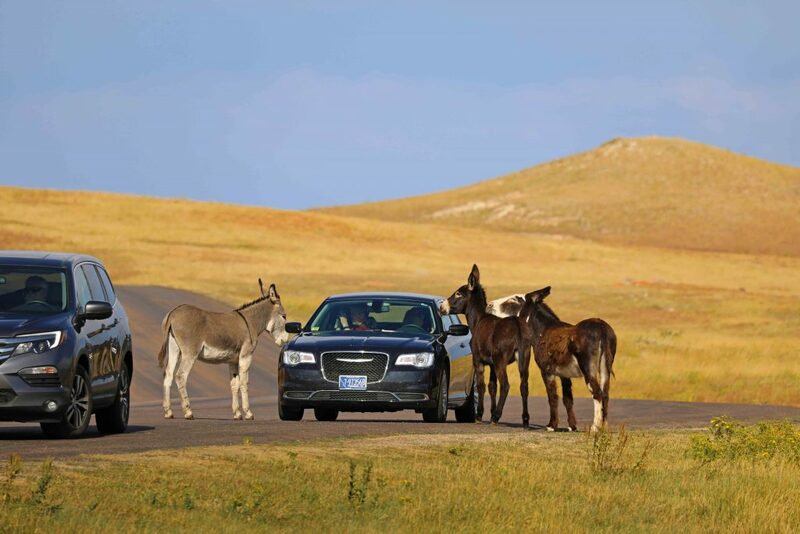 More than likely, you’ll encounter the park’s infamous “begging burros” holding up traffic in hopes of a handout. These unofficial long-eared park ambassadors are actually feral descendants of a herd of burros that were used by the park in the 1920s to give trail rides up to 7,242-foot Harney Peak, the highest point in the Black Hills. Much more tame than wild, the friendly burros often block the road but are harmless and a toot of the horn will move them out of the way. If you have time, do stop and share an apple or two. They won’t bite the hand that feeds them and you’re sure to get some fun photos! If you like your wildlife more on the wild side, you won’t be disappointed when you drive the paved 18-mile Wildlife Loop Road. The two-lane road in the southern portion of the park traverses open prairie grasslands and over and around pretty rolling hills dotted with colorful wildflowers. Deer, elk, and antelope roam freely, as do enormous buffalo. Also watch for coyotes, mountain lions, many species of birds, and a colony of cute prairie dogs you can watch right from the road. Each spring, the Wildlife Loop Road turns into a nursery for adorable buffalo calves! Sticking close to their mother’s hefty sides, the little ones are fiercely protected, so use your telephoto lens and don’t get too close- although they’re so cute it’s tempting! The herds often graze near the roadsides and without warning will walk in front of vehicles, so use caution. Buffalo, or bison, look slow and plodding, but they can outrun a horse, are unpredictable, and should never be approached. Don’t miss our top things to do in Custer State Park! To fully experience just how fast and furiously bison can run, attend Custer State Park’s annual Buffalo Roundup held in early October. To control the size of the park’s bison population, yippee-kay-yeahing cowboys and cowgirls herd over 1,400 huge beasts into a system of corrals along the Wildlife Loop Road. It’s not only a sight to see, but with thousands of thundering hooves pounding the earth, you’ll feel it too! Once corralled, the animals are sorted and the new calves are branded and vaccinated. Most bison are released back into the park, but others remain in the corrals until the November buffalo auction. Revenue received from this auction goes toward the park’s annual operating budget. In conjunction with the roundup, Custer State Park hosts an Annual Buffalo Roundup Arts Festival. 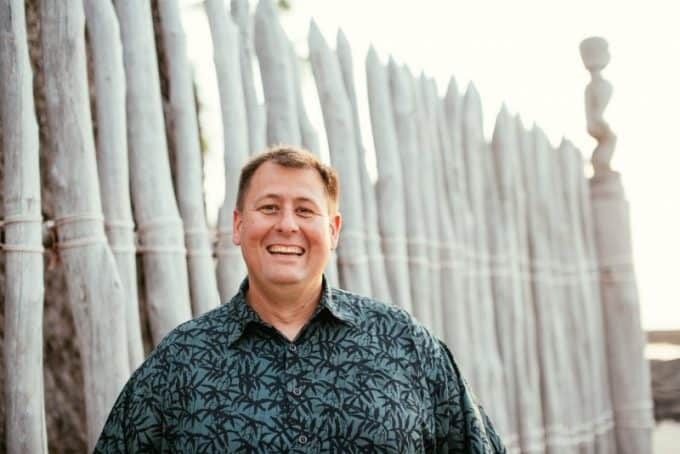 For three days, visitors are treated to continuous Western and Native American dancing and singing and can admire and purchase artwork made by South Dakota’s finest artists and craftsmen. Mounted shooting demonstrations, a chili cook-off, and other special activities make this event a South Dakota tradition. You won’t want to miss anything that Custer State Park has to offer, so stop at the Peter Norbeck Visitor Center, named for an early conservationist and former South Dakota governor. Built from native wood and stone in 1935 by the Civilian Conservation Corps, the structure is distinctive and houses exhibits and displays that interpret the region’s natural and cultural history. Also pick up a copy of the park guide, Tatanka, (means Bison in the Lakota Sioux language) for details on hiking, trout fishing, camping, geocaching, guided wildlife tours, and the park’s year-round events. The Wildlife Station Visitor Center on Wildlife Loop Road is the place to get your questions answered about the flora and fauna you encounter along the loop. 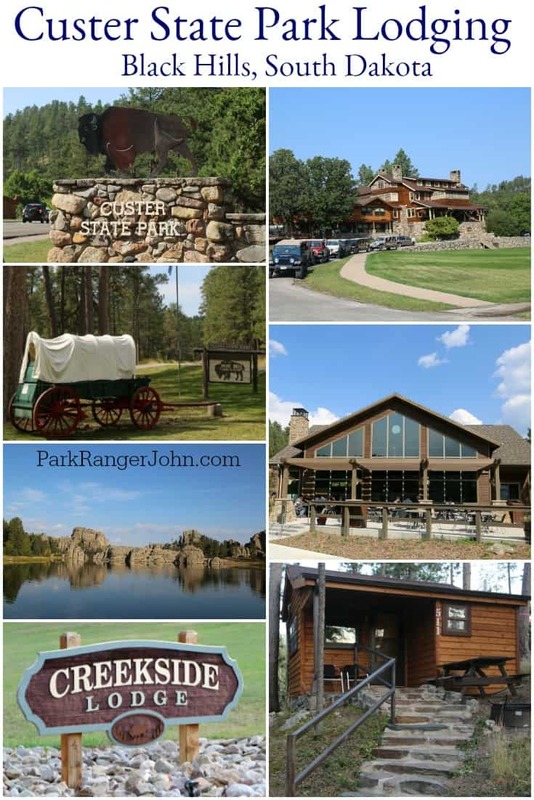 Beautiful resort style accommodations- State Game Lodge, Sylvan Lake Resort, Legion Lake Resort, and Blue Bell Lodge- make it easy to linger in nature-loaded Custer State Park. 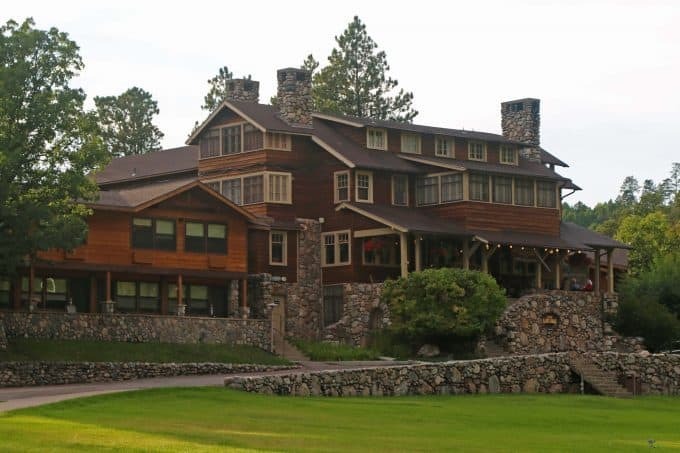 Each inn is extraordinary: the State Game Lodge served as the “Summer White House” for President Calvin Coolidge in 1927; Sylvan Lake Resort offers breath-taking views of Harney Peak; Legion Lake Resort was once the site of the local American Legion post, and Blue Bell Lodge was built in 1920 by an executive at Bell Telephone. You’ll also find chapels, general stores, and gift shops at each lodge. If you prefer to sleep in a tent or RV, it won’t be easy deciding on just one campground for your stay in the park. You can set up along a flowing stream or lake, in the midst of a forest, or in open meadows. With so many options, each in a different setting with a variety of amenities, you’ll need to sample more than one. Many of the larger campgrounds- Blue Bell, Center Lake, Game Lodge, and Stockade Lake North- also offer interpretive programs during the summer. Naturalists educate campers on a variety of park topics, and costumed characters from the 1870s have even been known to make an appearance! With 71,000 scenic acres, a large and diverse animal population, plus first-rate visitor facilities and activities to suit the entire family, Custer State Park could easily be mistaken for a national park. From the open grasslands and rolling hills to clear lakes, streams, and granite peaks, every turn in the road or trail guarantees another fantastic view. And the 114 protected square miles means there is plenty of room to explore and enjoy the beauty of the Black Hills. Bring your sense of adventure and wonder to Custer State Park and roam wild like the buffalo! 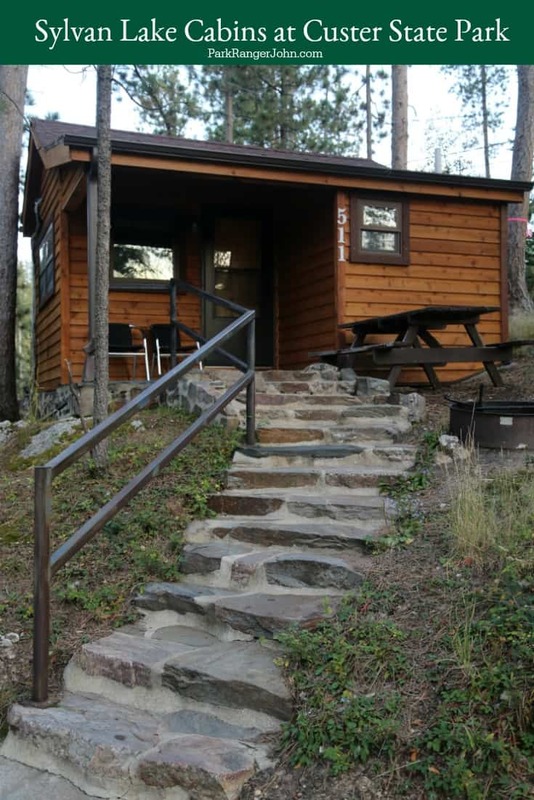 Check out all of the Custer State Park Lodging options to help plan your stay at this amazing park!